Live Broadcast at the Flower Show. See hosts Jonathan Redford and Antonella Nester. For three generations Roberta's has provided gardeners some of the very best quality sized flower bulbs and plantings the world has to offer that are hard to find, yet easy to grow, so you can have the distinct, colorful garden of your dreams. Now, in addition to beautiful flowers and plants, Roberta's brings you edible treats such as figs, citrus fruits, berries, and more for your taste buds to enjoy. And best of all, no matter where you live, Roberta's is committed to bringing QVC customers unique plants and bulbs not easily found in those other "garden variety" stores, so give your senses a treat with Roberta's Unique Gardens. 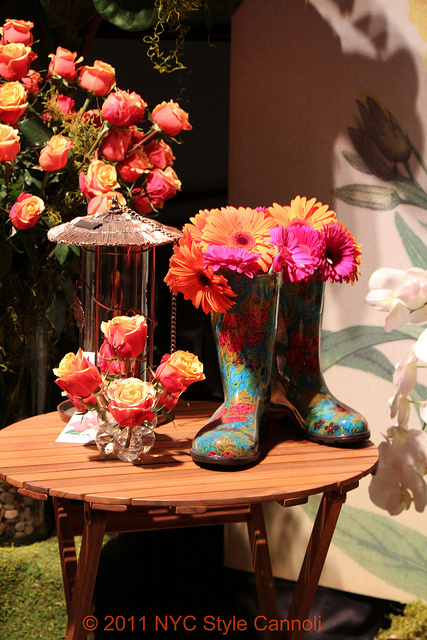 QVC had a wonderful display set up at the show on Saturday...love these rain boots!! 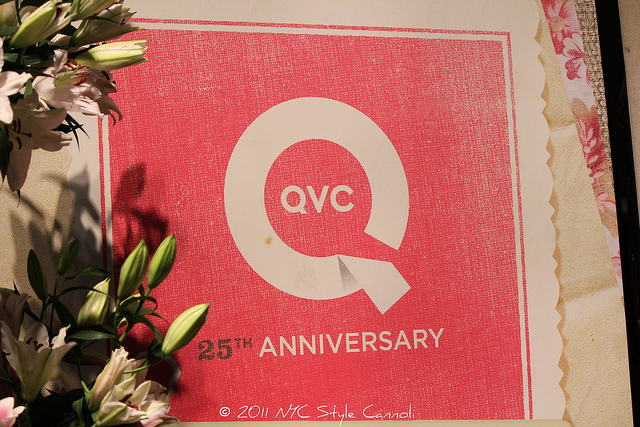 These are more roses QVC had at their counter!! 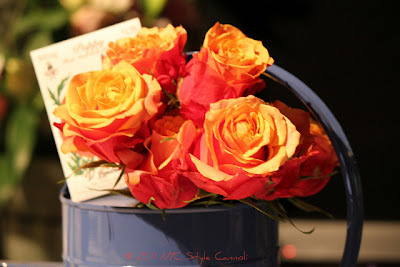 To purchase tickets for the 2011 Show, Springtime in Paris, click here! You know it is big when QVC is there as they have such a huge following!! This was a great display from them which I really enjoyed! !